Hello there! You want to decorate with fresh colors and nature inspired Palm Leaf patterns? Tropical palm leaves can be used in any decor because they have a natural feel to them and are easy to pair with other prints. Want a decor that has a fresh look with lots of color, just take a look at our collections. 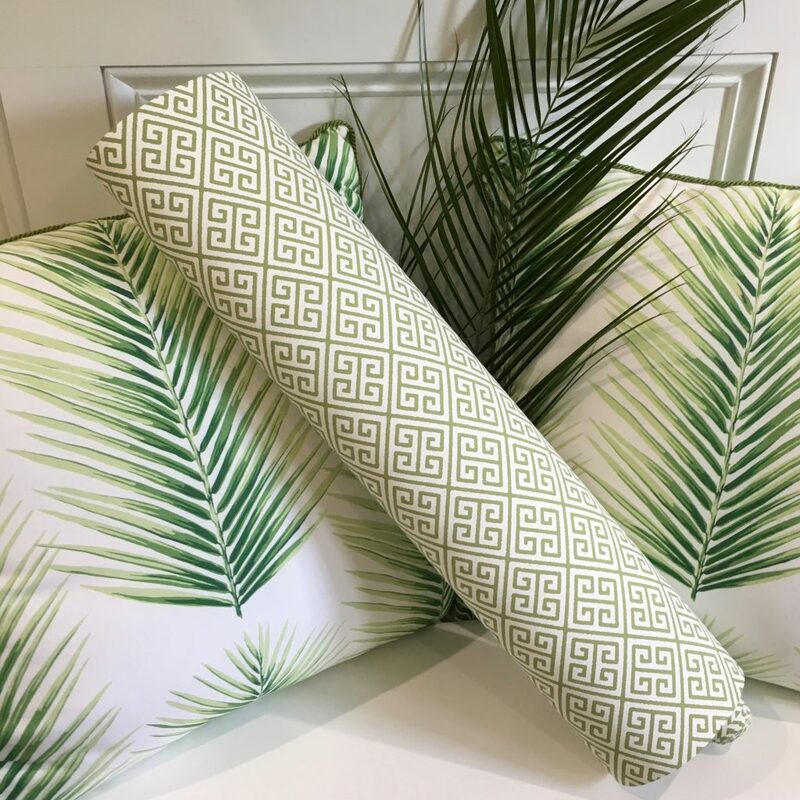 Nature has a huge influence on our wallpaper and fabric designs hence our palm frond fabric. This designer fabric was hand painted from a real palm leaf from my garden. Inspired right from our garden into your home. This fabric looks great made into draperies, bedding and pillows for a clean interior style. Mix the leaves with a Greek Key print an you instantly get a graphic yet modern traditional look. Customers often mix our patterns and fabrics from one collection with another. We make decorating easy so you can create an amazing interior. You can make a designer statement using our fresh clean designs. Fabric and wallpaper from Chelsea Lane Collection by Jaima Brown Home.